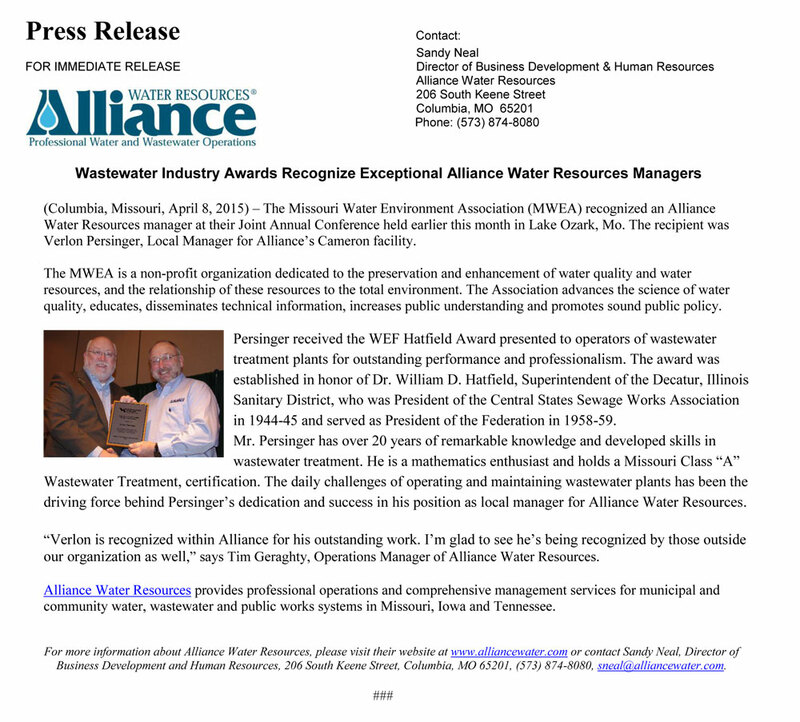 The Missouri Water Environment Association (MWEA) recognized an Alliance Water Resources manager at their Joint Annual Conference held earlier this month in Lake Ozark, Mo. The recipient was Verlon Persinger, Local Manager for Alliance\’s Cameron facility. The MWEA is a non-profit organization dedicated to the preservation and enhancement of water quality and water resources, and the relationship of these resources to the total environment. The Association advances the science of water quality, educates, disseminates technical information, increases public understanding and promotes sound public policy.